Food, Ramp Parking & Lodging available within walking distance of KI Convention Center. 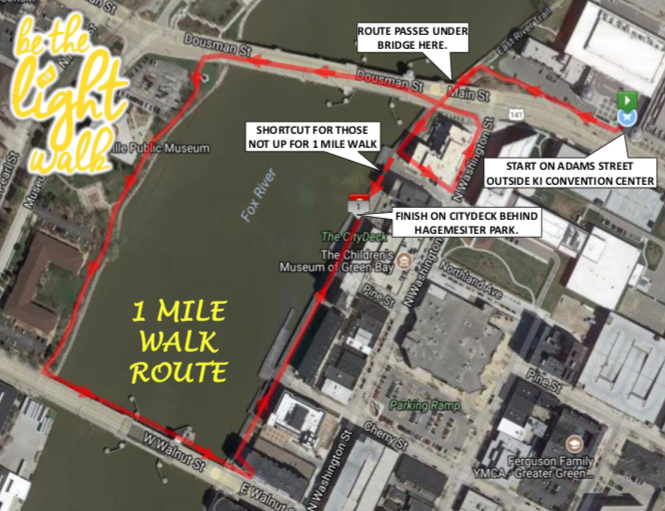 This year’s walk features a picturesque candlelight walk from KI Convention Center across the Fox River passing by the Green Bay Public Museum, concluding at the CityDeck. Doors open at 6:00 pm. Program begins at 7:30 pm.